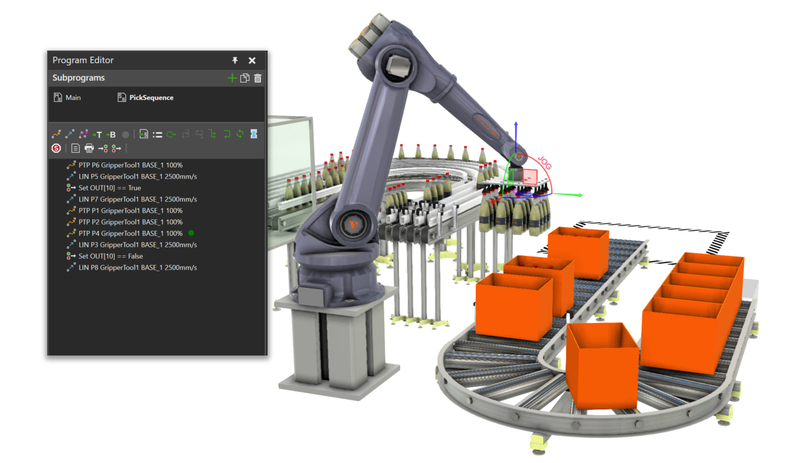 “Simple Robotics” is a set of features included in all Visual Components 4.0 products. In short, these features allow users to virtually teach a robot and validate the work cell; no programming required, and no prior knowledge of robotics needed. With the Simple Robotics toolkit, it’s easy to plan, design, test, and simulate robot work cells for a variety of industrial applications. In this article, we’ll review some of the key features in Simple Robotics and how to use them. 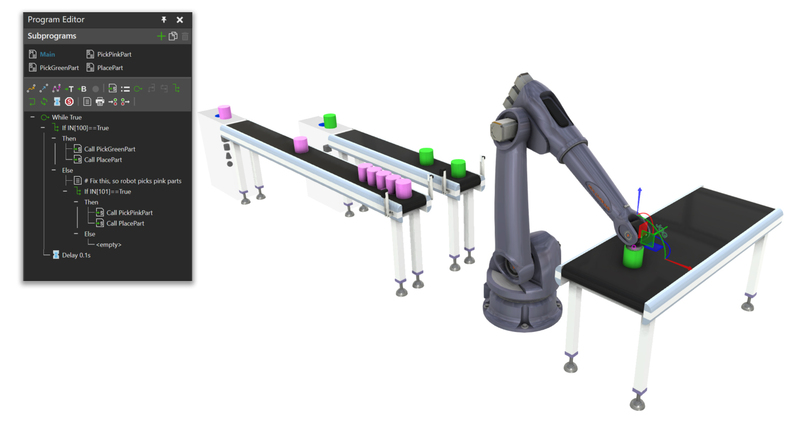 Reachability analysis helps users to verify the robot is capable of reaching and interacting with objects in its work cell. It also helps to visualize the work cell space. This helps users to make important design decisions such as whether to extend the reach of a robot, rearrange equipment in the cell, add additional robots, or change the size or position of the robot. Collision detection allows users to visualize potential collisions between the robot and other objects in its work cell. It works by simulating the robot paths and notifying users of the location and proximity of detected collisions and near misses. You can validate safety zones for the cell, workspace, and tool of a robot. In addition, you can identify potential hazards with robot motions by sweeping geometry and comparing it with the path of other resources like workers and vehicles. Collision detection is an important step in the verification of the robot program and a task that’s generally much safer and faster to be performed offline. Program editing allows users to define sequences of instructions for a robot and then simulate that program. You can define robot logic, such as order of the steps, type of movements, wait and triggering signals, and subroutines. You can also test inputs and outputs, optimize the logic and execution of tasks, synchronize robot motions, and validate motion paths. Control flow allows you to use conditional IF statements, loops, and variables in a robot program. An IF statement defines a condition for executing one of two scopes, THEN and ELSE. The condition can refer to robot properties and inputs as well as local variables of the statement’s sequence. For example, you can quickly teach a robot to perform a different sequence of instructions based on input from sensors and counters for palletizing parts. A WHILE statement defines a condition for executing a scope of instructions in a loop. As long as the condition is true, the loop repeats itself until the condition is false. For example, you can make a robot do something until a request comes from another client. In this article, we gave you a brief introduction to the Simple Robotics toolkit in Visual Components 4.0. 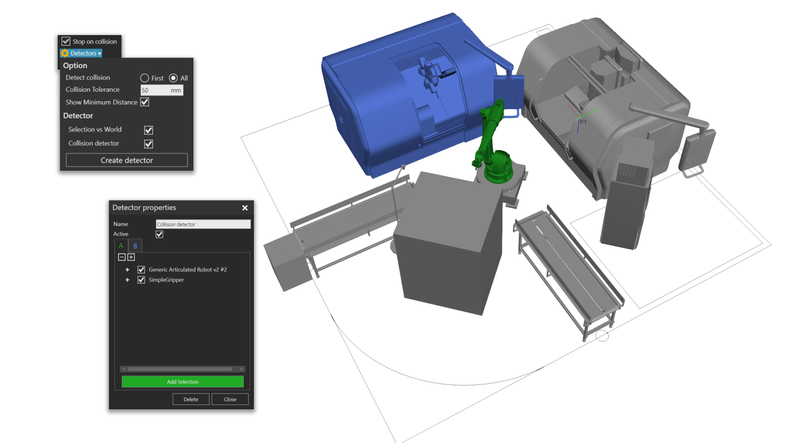 With the Simple Robotics toolkit, users can virtually teach robots and validate the design of the work cell. Simulating the workflow yields production statistics, such as cycle times, production rates, and process bottlenecks; giving designers and planners valuable information that they can use to optimize the design of the robot cell. 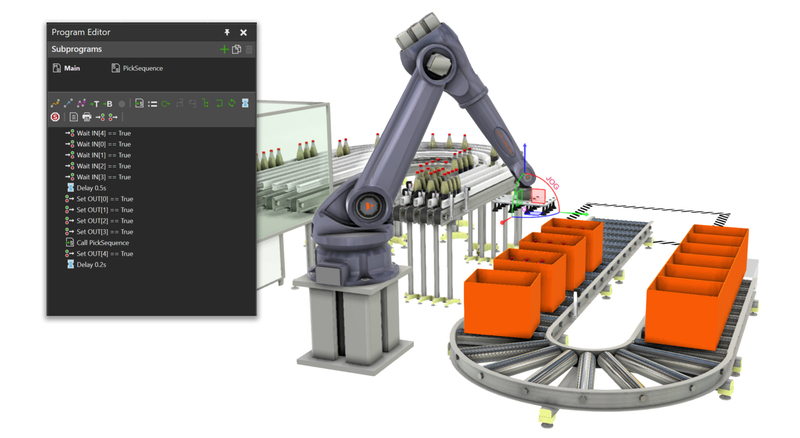 Visual Components 3D manufacturing simulation software helps manufacturers and system integrators to design better robot work cells. With more than 1,200 robot models from 30+ major robot manufacturers available in our public eCatalog, Visual Components users have access to an extensive and constantly growing library of ready-made components.